This Week's TV: Say Goodbye to Under the Dome and Hello to Z Nation! What’s on this week? Season premieres of Continuum, Z Nation, Gravity Falls and From Dusk Till Dawn! 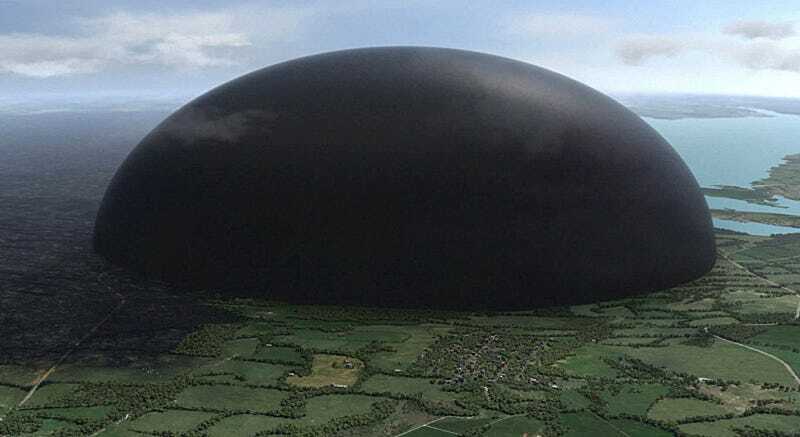 The series finale of Under the Dome – and possibly Extant, too, I don’t know, it remains to be seen. All this, and more cartoons than our black hearts deserve on TV this week! If the clip’s slightly different version of the scene where Luke meets Threepio and R2 doesn’t make you want to watch, nothing will. Season premiere, and we’re officially far away from the the movie’s plot now. Bullets flying in a nuclear facility? Dominion takes a trip to Tromaville! Series finale! Goodbye, Ms. Shumway. Is this what is sounds like when domes cry? The one we’ve all been waiting for: Harold “Waaaalt!” Perrineau vs. Zachary “Life on a Stick” Knighton! America’s third-or-fourth (fifth?) favorite zombie drama returns! It’s friendship—the price is friendship. Season premiere! Give it a shot. It has this mordant wit and a kid who does the most intense pratfalls on television. Svengoolie presents Monster on Campus, in which irradiated coelacanth blood turns Professor Donald Blake (!) into a murderous Neanderthal. This show is actually going to start wheeling out characters from the Archie comics series and even Lord Dregg from the final two seasons of the original series. We’re in a weird cultural epoch, aren’t we? Rick & Morty returns after a week of absence!